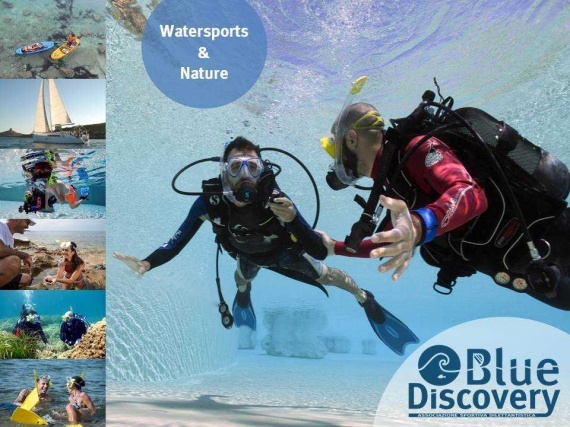 Blue Discovery ASD is a club made up of a team of nature experts and water sports lovers. Discover the wonderful seabed and Sardinian Coast with a team of Marine Biologists and Scuba Instructors. Our Club proposes courses dedicated to people of all ages (from 8 years old). We offer Scuba Diving Courses, SUP excursions, Marine Biology Courses, Snorkelling and Sailboat Cruises. Download our file PDF containing more information and prices.